The Château’s vast spaces, lawns and woodland will be a natural adventure playground for your children. You can take the opportunity to go boating on the water or head off on a bike ride of discovery to the most remote corners of the park. 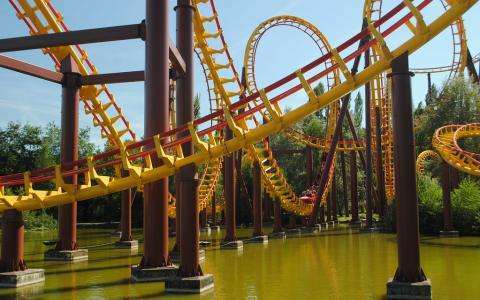 Just a few kilometres away are two of the most famous theme parks in the Paris region. Parc Astérix celebrates its 30th anniversary this year and has many surprises and new attractions to mark the occasion as it takes you back into the mists of time. The Mer de Sable, with its exceptional setting amidst nature, will take you on fabulous adventures in the Wild West, the jungle and even a Mexican pueblo. The Domaine du Château d'Ermenonville has thought of everything to ensure the success of your family holiday. The more spacious Comfort and Château rooms can easily accommodate a cot or an extra child's bed. When it’s time to eat you can enjoy delicious and serene family meals at the Table du Poète after a hectic day at one of the nearby amusement parks. The enchanting decor will spark your children’s imagination and form the setting for adventures of knights or princesses! With rooms suitable for families, a large park full of the wonders of nature and many attractions nearby, the Domaine du Château d'Ermenonville is perfect for family breaks. Book your holiday or a long spring weekend today!